Sorry to Bother You… With This Review of a Terrible Movie. As 2018 wound down, I wanted to put together my favorite movies of the year post. Because I wanted to make sure not to miss any of the best films, I took a look at some of the top movie lists in order to determine if there were any I needed to see before I write my own. I don't think I will be doing that ever again. I should trust myself. If I haven't seen one of the movies on these other lists, there is a reason. Last year, these lists tricked me into wasting two and one half hours of my life watching what should have been a 42 minute Twilight Zone episode titled The Shape of Water. This year's utter waste of time was Sorry to Bother You. I'm sorry you bothered me too. 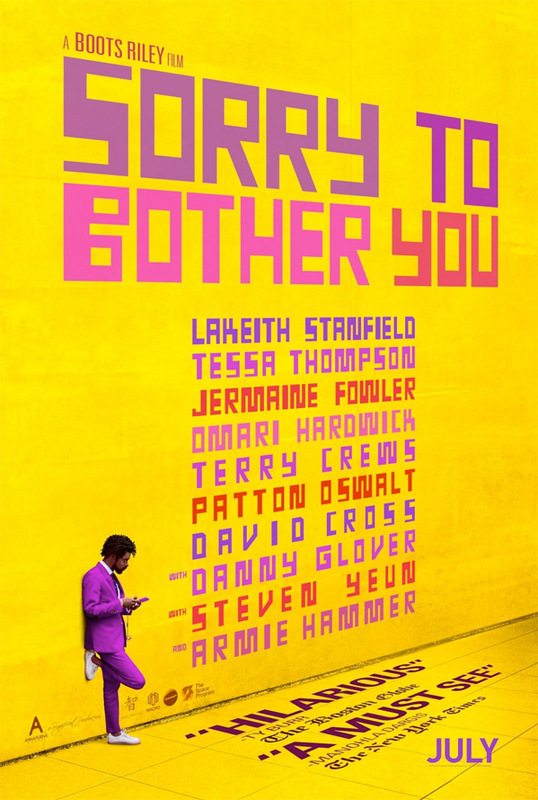 Sorry to Bother You made many best movie lists including: The New York Times, Vox, Thrillist, and Rotten Tomatoes. I have no idea why. "In an alternate present-day version of Oakland, black telemarketer Cassius Green (Lakeith Stanfield) discovers a magical key to professional success, which propels him into a macabre universe of "powercalling" that leads to material glory. But the upswing in Cassius' career raises serious red flags with his girlfriend Detroit (Tessa Thompson), a performance artist and minimum-wage striver who's secretly part of a Banksy-style activist collective. As his friends and co-workers organize in protest of corporate oppression, Cassius falls under the spell of his company's cocaine-snorting CEO Steve Lift (Armie Hammer), who offers him a salary beyond his wildest dreams." That actually sounds pretty cool. It's an independent film with some good actors in a clever story. Ok. Let me dig a little deeper. Now we are talking. Original and "scathingly funny". Cool. Plus it is listed as "comedy, science fiction and fantasy". I decided to watch it on Hulu while running on my treadmill. Thanks to those incredibly positive comments, I went into this with a great attitude. I wanted to love it. As a result, for the first 30 minutes I found myself smiling and thinking, "This is pretty clever". Then I got tired and decided to pause and resume it later. When I resumed and watched the next 30 minutes, I was still feeling quite positive but found myself asking, "Where is this going? When does the originality kick in? Did I miss the funny parts?" Again I paused due to fatigue. But this fatigue was not caused by my running. It was the movie. I was so bored that it did not take my mind off of exercising. After I finally finished the last 30 minute segment, I was quite thankful that I had been exercising while watching this nonsense. Otherwise, it would have been a complete waste of my time. I think I would have rather spent my 90 minutes speaking to an actual telemarketer instead of watching this movie. Sorry to Bother You is the type of movie I detest. It is a movie that other people tell you that you are supposed to like. If you don't like it, it is because you "don't get it." Believe me I get it. Yeah I get it... because I have seen that 1000 times before... and 999 were better than this! Don't get me wrong, it is not the politics that annoyed me. I knew what I was getting into after reading the description. But it was so cliche and forced. For example, I am sure that I was supposed to be very impressed by the female lead's use of giant earnings to make political statements... but it was just silly. Instead of inspiring me or making me think, they made me roll my eyes. Another problem is how many points the movie was trying to hit me over the head with. If they had stuck to one or two messages, perhaps it would not have felt so artificial. It honestly felt like the writer (rapper Boots Riley) sat down and said, "Let's see. I really can't stand these 97 issues. I'm going to make a movie that 'satirizes' all 97." Unfortunately, by doing that, it comes across like an immature teenager who simply hates everything in life and therefore none of their complaints or criticisms can be taken seriously. Oh you look like a reliable source to give social commentary. Although the messages contained some truth, they were so cliche. If anyone was enlightened about social injustice after watching this movie, I think that just means they have not been paying attention to the real world for the past 4000 years or so. So the message was a dud. But what about that "scathingly funny" humor and the science fiction aspect? I may have laughed a couple of times during the first 30 minutes... but I honestly don't remember. As far as the science fiction, that part was laughable... but not intentionally. The entire movie reminded me of a very cheesy Tales From The Dark Side episode from the 1980s. I chose that analogy quite carefully. The Shape of Water should have been a Twilight Zone episode because it was at least original and thoughtful (sadly it was also 3 times too long and really boring). Tales From The Dark Side episodes were nowhere near as deep. Neither is Sorry to Bother You. But it sure was pretending to be. Believe it or not, I really did want to like this movie. The cast was actually quite good. 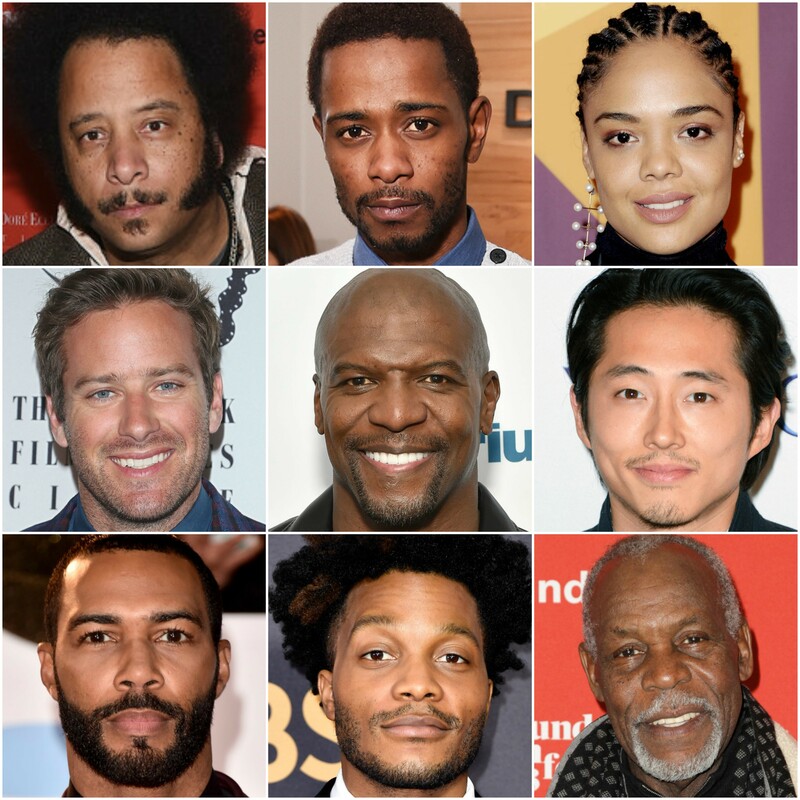 I especially liked Tessa Thompson and Jermaine Fowler. Sadly, their performances were wasted. The cast was definitely not the problem. This movie seems to have been made for one purpose: for hipsters to sit around and talk about how deep the messages were and what a scathing satire of modern society it is. It's not. It is superficial and silly. I can only imagine how many hours of conversation will center around the brilliance of the main character's name: Cassius Green. I'm sorry to bother you with this wall of text. I should have just told you to treat this film like you would a telemarketer. Thank you for saving me from wasting some valuable life time! I only have Hulu right now, so there's good odds the casting would have gotten me to watch. Hurray for dud dodging! Although I'm a little tempted to watch it to see what not to do if I ever write! I normally take critic's reviews with a grain of salt, especially when it comes to quirky movies. I was intrigued with this movie when I heard about it but after five minutes reading reviews on IMDB I was like, "Yeah, I'll just take their word for it." Glad to hear I didn't miss out on anything. Your UA account score is currently 6.414 which ranks you at #177 across all Steem accounts. In our last Algorithmic Curation Round, consisting of 238 contributions, your post is ranked at #58.